Rihanna rocking dreads via Instagram: HOT OR NOT? Nothing tops a great hump day like seeing our favorite rude gyal, Rihanna, with a new hair style. This time the daring songstress opted for dreads! She’s been posting multiple pictures of Bob Marley all week on her Instagram account..maybe that’s what inspired her?? 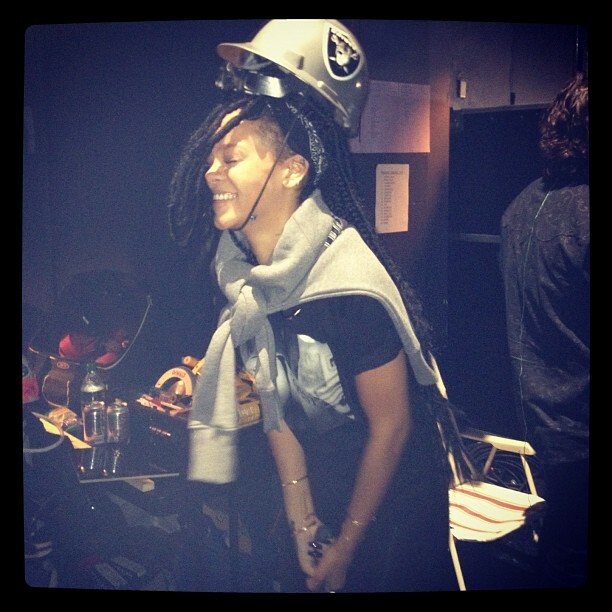 Hmmm…Check on it..
Are you feeling Rih Rih’s new look? I think she can practically pull ANYTHING OFF! Just watched her Idol performance on youtube and although it's not my favourite she did pull it off and it did look nice. Shoot long as she likes it I love it.